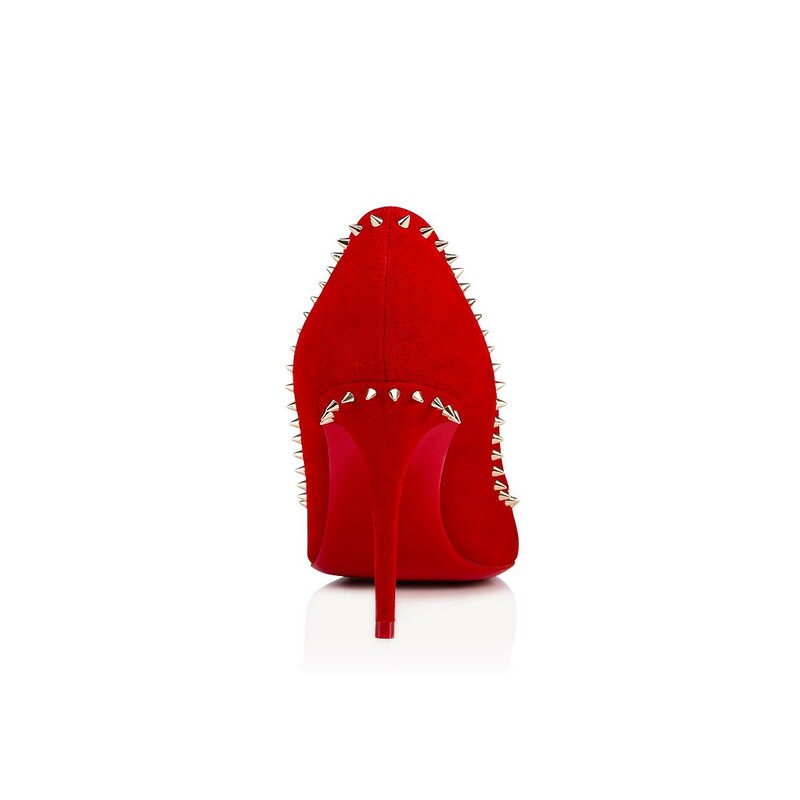 Refined and audacious, the Anjalina shoe is worn like jewelry. 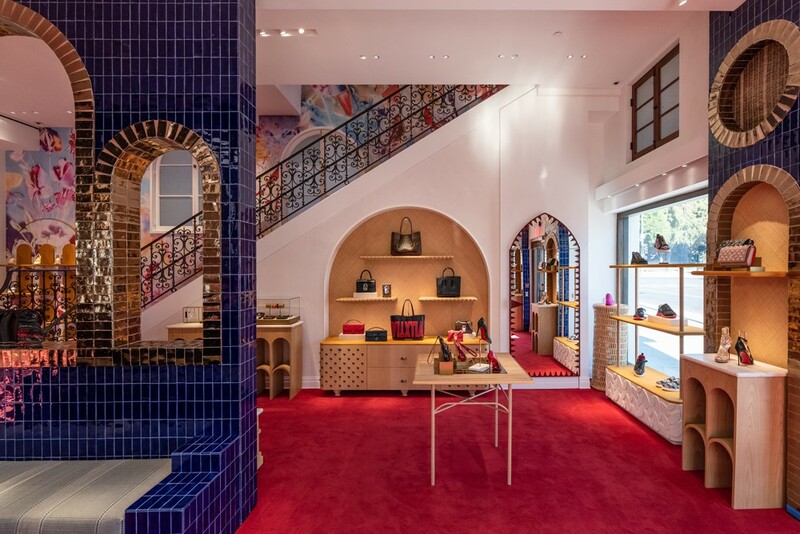 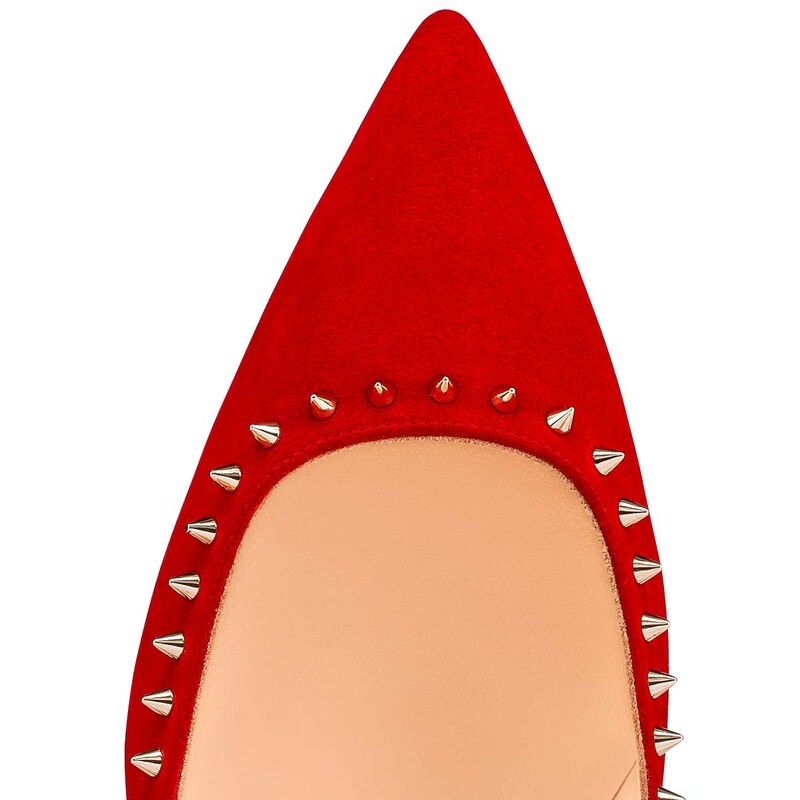 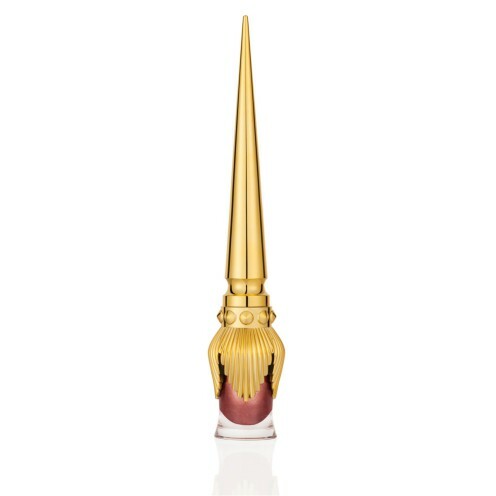 In Loubi-red suede, it is hemmed with gold spikes, iconic details of the Louboutin House. 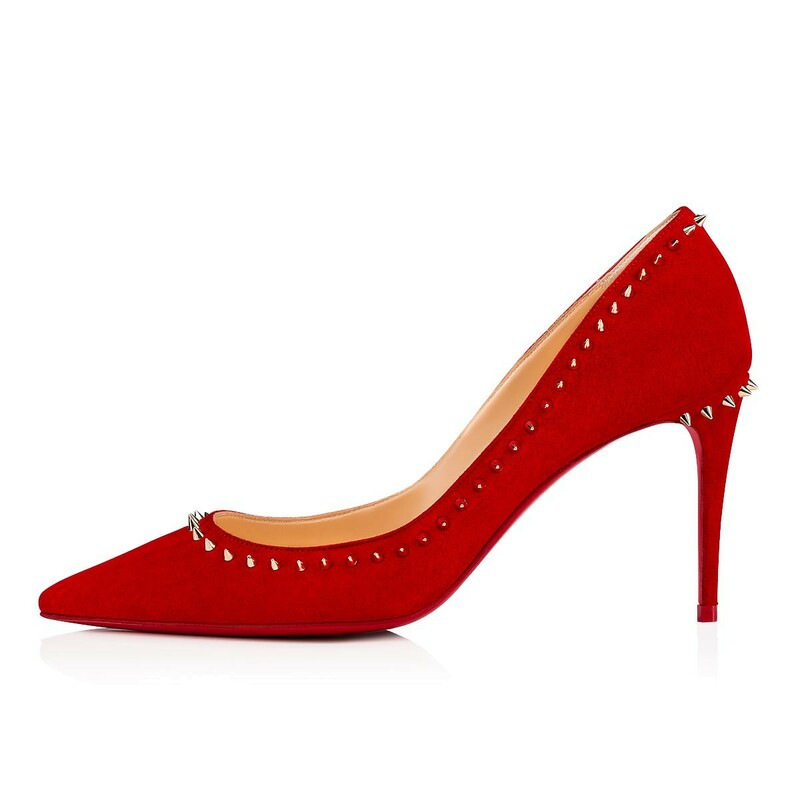 With an 85mm stiletto, it raises and completes the silhouette with allure.